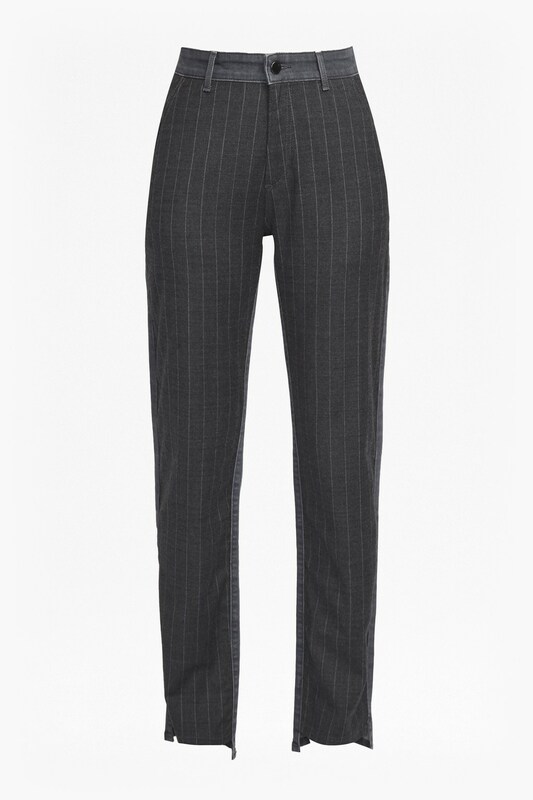 The Pinstripe Mash Up jeans combine elements of tailoring and denim for an innovative, modern result. They have a high-rise, straight fit, with a pinstripe front and faded denim back. Note the step-hem detail at the front of the legs that’s ideal for revealing statement trainers.